Melbourne’s Skoda fleet continues to grow, as more drivers are realising the reliability, sophistication and thrill of driving a Skoda vehicle. Established in the late 19th Century, the company produced bicycles before moving into vehicles. 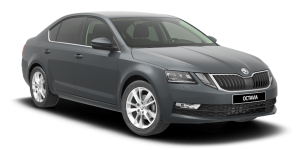 Since being purchased by Volkswagen in the 1990s, Skoda have become a reputable, reliable brand, with drivers all over the world. Since the takeover, Skoda vehicles and parts are now manufactured by Volkswagen in their factories. This means that VW specialists, like those at Volks Affair, are the mechanics best suited to service Skoda vehicles. Volks Affair is an independent Skoda service centre in South Melbourne. 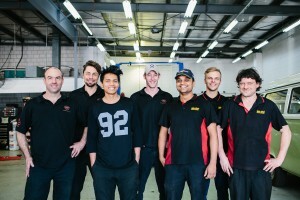 Our Skoda mechanics repair and service the full fleet of Skoda vehicles in Melbourne. In line with your Skoda warranty, our mechanics use only manufacturer-approved or genuine Skoda parts when servicing or repairing your vehicle. What’s more, we use high quality oils and fluids in all our services to make sure you get the best service we can offer. The Fabia Hatch won Carsales’ Best First Car in 2015, 2016 and 2017. The TSI engine consumes only 4.8L per 100km, and with start/stop functioning, this makes the Skoda Fabia an environmentally responsible car. In fact, the Fabia 66TSI was named Money Magazine’s Best Value Green Car in 2017. Increased fuel consumption can be a sign of something serious, so be sure to service your Skoda if you are visiting your petrol station more often than usual. Like the Fabia, the Fabia Monte Carlo Hatch is a compact supermini great for city driving. Later models include exciting safety features such as City Emergency Brake+, Forward Collision Alert, and parking assist technologies. But rain-sensing wipers still wear and will need to be replaced regularly, so be sure to book in for an annual service. The Octavia’s trip computer can tell drivers more detailed information than ever before about their vehicle, including oil temperature and tyre pressure. Trip computers should not be used as an alternative to a professional Octavia servicing, so be sure to book your Octavia in with a professional Skoda mechanic regularly. When you book your vehicle in for a Skoda car service, our mechanics will check all safety components, including the Sport’s multi-collision brake and Adaptive Frontlight System (AFS) headlights — LED headlights that can predictively shift up to 15° for increased visibility. Automatic Hill Hold Control activates when your Rapid is stopped on an incline greater than 5%. To keep your Rapid as smooth as your hillstarts, have a qualified Skoda mechanic service it regularly. Our Skoda mechanics know the ins and outs of your vehicle. So for all your Skoda car services, contact Volks Affair today. This four-door family car is fast, economic and spacious. With ventilated front seats, front- and rear-seat heating and three separate air-conditioning zones, the Superb has been designed to keep everybody happy. Keep your Superb happy by having it (and its air-conditioning) serviced annually. The 2.0L DSG Superb Sportline is an all-wheel drive capable of accelerating from 0 to 100km/h in 5.8 seconds. Its sporting pedigree is reflected in its infotainment displays, where drivers can monitor bar pressure, G forces, kWs, oil temperature and more. Monitor your Sportline regularly, and you will notice the difference an annual service makes to performance. Even the most reliable cars require annual servicing to keep them performing at their best. 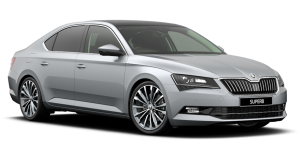 Book in today to have your Fabia, Rapid, Superb or Octavia serviced by Volks Affair, one of the leading Skoda service centres in Melbourne.